Simply Silhouette: It's A What? 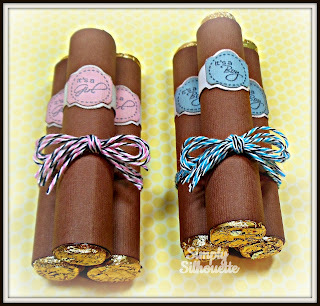 Baby party favor Cigars that I just made! Cut some cardstock 4 1/4" X 3 1/2"
and wrapped the cardstock around the roll. I hope you like my project today! What an adorable idea, Julie. So sweet. Love it. Hmmm...maybe you didn't read the actual blog post. They're not really cigars. LOL! They're Rolos (candy...) I can see your concern with real cigars but I don't think the Surgeon General has determined that Rolos cause Cancer. At least not yet. Perfect response!! Love it! 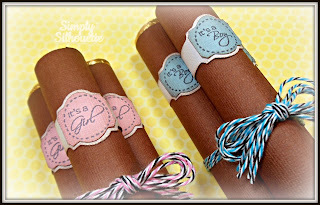 Thought it was a very cute idea and a fun party favor!! Those are so cute!! Simply super adorable!!!! Ooh, these are super cute and such a F*U*N idea! Love it!! Those are so SUPER CUTE!!! :) What a great idea (and Rolos are tastier than the fake chocolate cigars)! Looking for something different and I think I just found it! Thanks for such a clever idea. 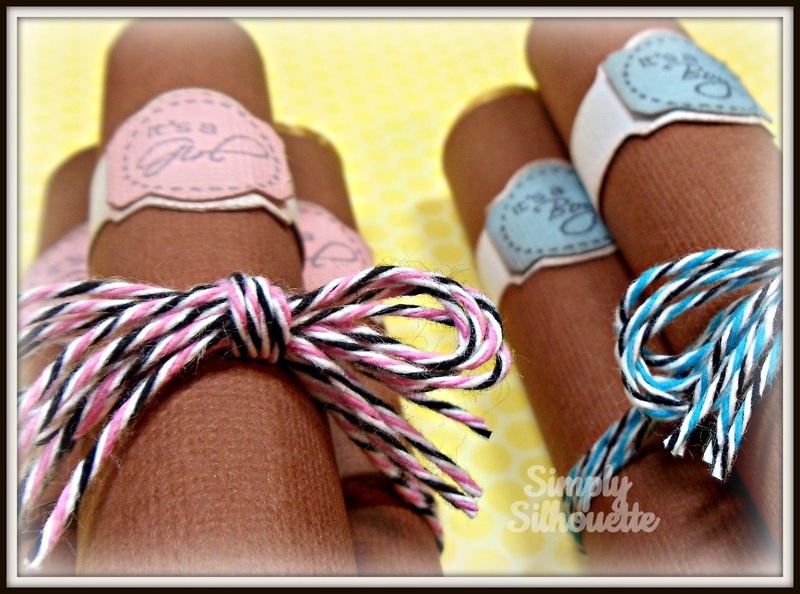 I just ♥ being inspired by other creative crafters. :) Thank you so much for this yummy idea!! sized it to fit my the Baby Candies Jaded Blossom Stamps. I used the It's a Girl stamp on the label. There is a link above to the stamps. such a cute idea, Love IT, need to do at next baby shower. thanks again. What paper did you use? I love this idea.